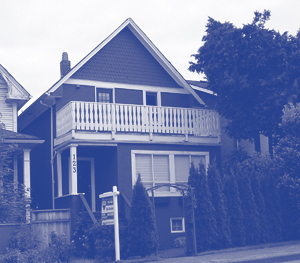 The following Case Study illustrates an answer to the title question, ‘’Vancouver Real Estate, can prices go any higher?” This question has been asked over and over in the many years that I have been in the business. The answer is always a matter of supply and demand, economic climate and the political climate in British Columbia. Having said that, prices have consistently advanced over the past 50 odd years in Vancouver Residential Real Estate (See Website Article “The Older You Get The Richer You Get”). This case study was done in 2010. Below is a brief summary update regarding value performance for this property to 2017. Cash Flow Gain - Wealth Gain: This Wealth Gain does not include mortgage balance pay down by tenants/income, and the current cash flow returns which would increase each year as rental rates increased. The original mortgage balance of $602,600 would have been paid down to approx. $482,000 if mortgage rates remained at 3.6+/-% over the ensuing years, adding an additional $120,000 to the Buyer’s Wealth Gain. Continued increases for rental rates in this area & for this property indicate current monthly Net Operating Income could be in the range of $5,000/mo or over $60,000/yr, creating very decent net cash flows to the Owner.